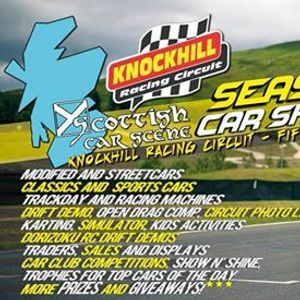 To kick off the 2019 events season, we’re teaming up with Knockhill Racing Circuitl for the Scottish Car Scene - Knockhill Season Starter! The last Sunday in March we’ll be hosting a car show and track day at the home of Scottish Motorsport. 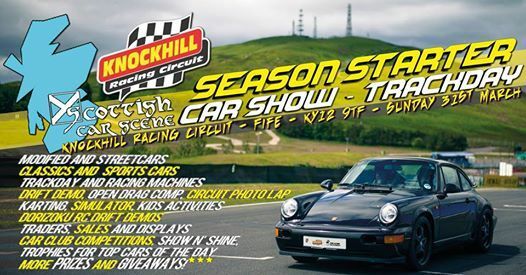 Join us to see some of Scotland’s most stunning showcars, beautiful classic and retro motors, and of course, some insane modified machines! We have traders joining us for the day, merchandise stalls, dealers and car care companies, to name a few... This is an excellent chance to pick up some early season, and new registration deals! Keep an eye on our Social Media and the event link, at the bottom of this post, to stay up to date with this event. If you have any questions, are looking for booking info, or just want to show us a really cool car, you can get in touch with us by any of the following methods.